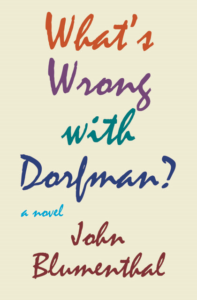 Last Friday I began reading John Blumenthal‘s newest novel, ” What’s Wrong With Dorfman?“, and since then I have barely put it down. This book could not have arrived at a better time, and I’ve looked forward to every spare second I could cleave from the day so I could dive back in, join up with Martin Dorfman and his wicked sense of humour, and drift along as he wrestles with nagging hypochondria, Screenwriter burnout, and a slew of friends, agents, and family members so profoundly disparate each encounter is a story in itself. 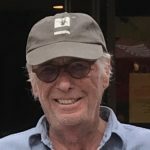 “What’s Wrong With Dorfman? ” is such an excellent book. Just excellent. Thank you for the tremendously enjoyable escapism I’ve become dependant upon over the last few days, John. It’s safe to say my imminent funk is all your fault.